As always, it was a pleasure working with the IFMA Toronto Chapter team. They put on another excellent event at Lionhead Golf Course. Even the record-breaking heat didn’t stop our golfers! We had a number of janitorial and commercial carpet cleaning franchisees participate in the day including representatives from ServiceMaster Clean of Mississauga, Brampton, Markham, Richmond Hill, Woodbridge, and North Peel region. The "Power of Yellow" was again in full force! 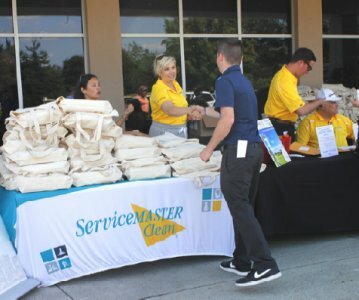 The ServiceMaster Clean golf teams and IFMA volunteers were outfitted in yellow ServiceMaster Clean shirts. It was hard to miss us on the golf course. An amazing day was had by all! If you want to see ServiceMaster Clean and other IFMA Toronto Chapter members in action, click the link below to download the picture book we created.